Reiki energy re-balances the energy field that exists around our bodies. When this energy field is clear of blockages and flows naturally, balanced optimal health is achieved. Learning Reiki does not mean you need to become a Reiki practitioner. Many people find Reiki complements the therapies they already offer, or just helps bring balance and peace into their own life so they are better able to be of service to others, without becoming burnt out. Reiki is a Gift you Give to Yourself. Where you take it~ or where it takes you~ is as individual as you are. There are many types of Reiki. Usui Reiki is based on the original Reiki that Mikao Usui (the founder of Reiki) taught. It is the best known and most widely practiced type of Reiki. When learning Reiki for the first time, we recommend beginning with Usui Reiki. It will give you everything you need to get started as well as a solid foundation to build upon. All of our classes are taught by a Canadian Reiki Association Registered Reiki Master Teacher. All of Our Reiki Classes are taught by a Canadian Reiki Association Registered Teacher. Want A FREE Class? If you have a group of friends, family or co-workers who would like to learn Reiki and you organize a class of 6 or more people, your class is FREE! For more information on the different types of Reiki we teach at the centre, please click on the links below. We have been teaching Reiki for over 13 years and have taught hundreds of students this beneficial healing modality. Reiki is one of our primary focuses at the centre and so we pride ourselves on keeping current and offering very high standards in our teaching practice. We offer monthly Reiki classes and we also offer monthly Reiki Shares that are ongoing for our students. This is a valuable opportunity to practice Reiki ~ to give and receive a treatment. Because the shares are run by a CRA registered teacher, the hours spent practicing will count towards your required practice hours if you choose to register with the CRA. Kerri Fargo B.A. RT-CRA is a certified 5th generation Reiki Master Teacher in Usui, Gendai, Komyo, Karuna, Kundalini® and Lightarian Reiki. 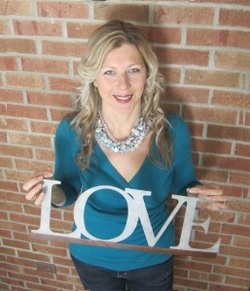 She is a Registered Teacher with the Canadian Reiki Association and follows their ethics in practice and guidelines for teaching. As a mother of 3, she has had many years of experiencing the joy of Reiki with children & she loves teaching the Reiki For Kids Class. She is also an IET® Master-Instructor, Certified Holistic Healer, Professional Channel, Intuitive, Medium, Axiatonal Re-Alignment Practitioner and Teacher, and Tibetan Yoga Instructor.